Protectors, Kirsten Beyer’s fifth novel in her ongoing Star Trek: Voyager saga, is the first one to deal with the repercussions of Admiral Kathryn Janeway’s return from the dead in the preceding novel The Eternal Tide. 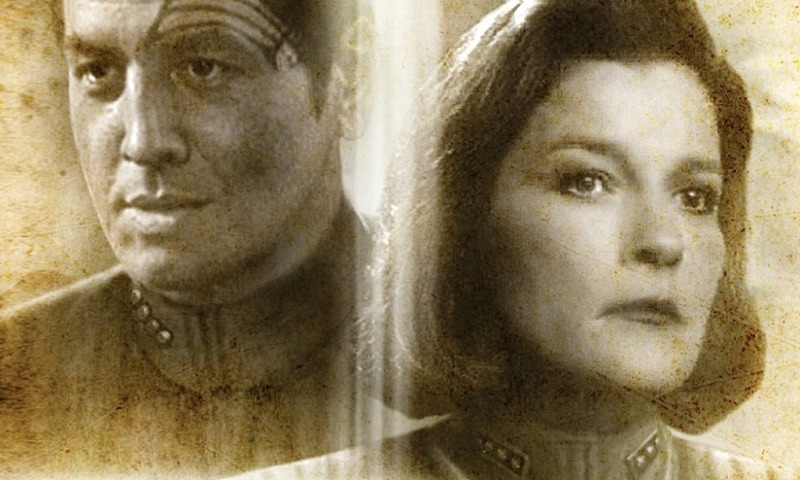 While Janeway is recalled to the Alpha Quadrant to have her mental fitness evaluated by Starfleet counsellors after the trauma of her death and resurrection, Captain Chakotay is determined to prove that the Full Circle fleet and mission still has value even after the catastrophic losses of the recent past. To prove that, he decides to revisit an old distress call from early on during Voyager‘s first tour through the Delta Quadrant. 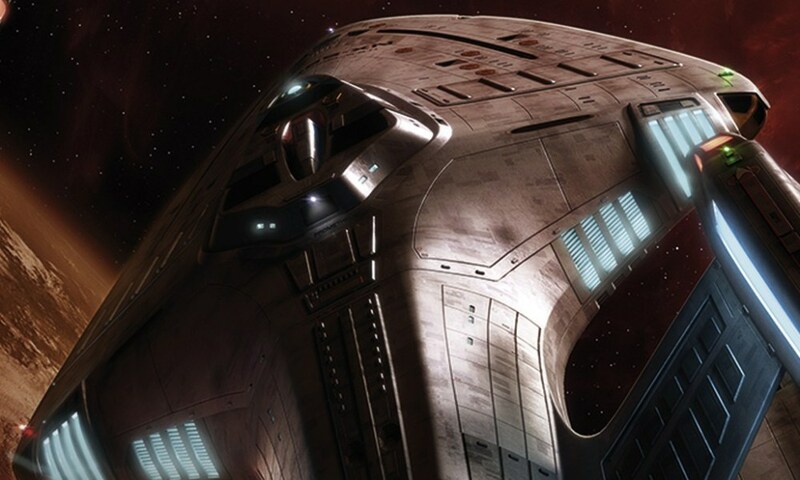 At first their mission seems to be a dead end, but once the secrets of the distress call’s origins are revealed, Voyager and Demeter see a chance to prove their worth. Meanwhile Janeway has to deal with a whole lot of small fires in her crew’s life, all the while having to navigate the politics in Starfleet Headquarters. In my review for The Eternal Tide one of my complaints was that Janeway’s return sidelined the other characters to a noticeable degree. And I’m a bit sad to say the same is true in Protectors as well. A good chunk of the novel is spent on working out Janeway’s mental state and quite frankly it is the main reason why my rating is only in the “decent” area. That some time is spent on this is only natural and good storytelling, but for my taste the Janeway-to-fleet ratio is too Janeway-heavy. On the other hand, having Janeway spend so much time in the Alpha Quadrant has the benefit that she and Chakotay are separated for most of the novel, so that what is Kirsten Beyer’s biggest weakness in my opinion – writing Chakotay and Janeway together – barely comes into play in this novel. Another thing that disappointed me to a certain agree is that by the end of the novel Farkas pretty much is fully back in the Janeway camp; I think it probably could have been an interesting situation to have a Janeway critic being the captain of her “flagship”, especially since she actually had a point in her criticism of Janeway in my opinion, but most (if not all) of it seems to be swept aside by the end of Protectors. Let’s get to the positive sides of the novel. What Beyer does really well with her Voyager novels is to fulfil the promise the TV show had, but was never really able to use: being out there in the unknown, exploring strange new worlds. 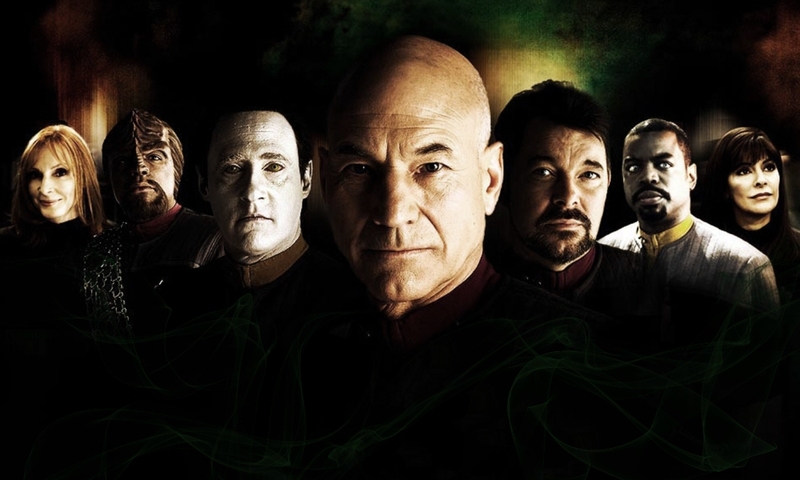 Kirsten Beyer does exactly that with interesting new species and entities like the Children of the Storm, the Pro(te)ctors, or the Confederacy of the Worlds of the First Quadrant, where the TV show often felt more like a poor man’s TNG with new alien makeups. During the parts of the novel set in the Delta Quadrant, Beyer makes very good use of the different strengths of the characters to let them solve the problems they’re faced with, which makes it all the more of a pity that not more space is spent here. I also liked how the relationship between Chakotay and O’Donnell developed from uneasiness on Chakotay’s side through acceptance to some kind of mutual respect in the end. 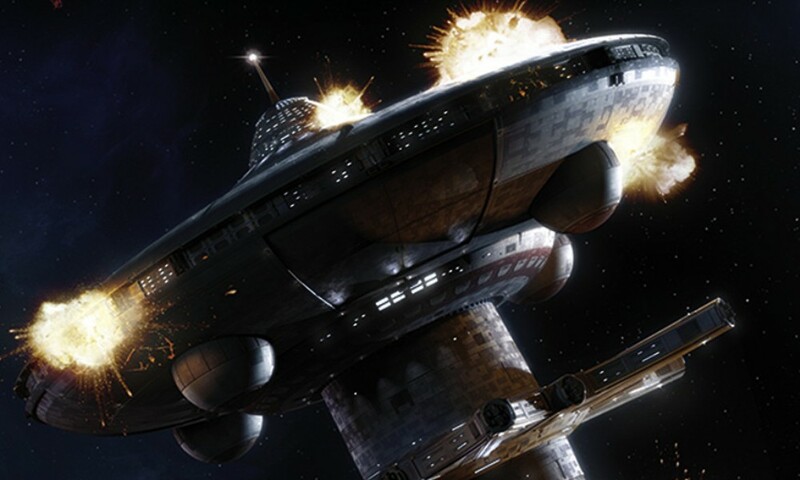 The characterisations as a whole are sound and despite the focus on Janeway’s mental state, most of the main characters get at least a bit of development, be it Harry and Conlon’s relationship, the Voyager CMO’s scenes to shine as the one figuring out how to communicate with the Proctors, or Chakotay helping out Torres. I also liked the Torres/Paris second child sub-plot as a whole, but where I have my concerns is the Julia Paris plot. The whole thing feels a little bit too constructed for my taste, but at the moment it’s still at a state where it can be salvaged, so I will reserve my judgment until it has played out. Overall some very interesting potential stories have been built up in this novel: the strange alliance between species from Voyager‘s past that should be at odds with each other, the chance of a new partnership with the Worlds of the First Quadrant, the potential catom plague, Axum and Seven’s connection, and so on. But nonetheless the novel on it’s own feels very much like Part One of a bigger picture, and seen by itself falls a bit short of the quality displayed by Beyer in some of the previous novels, especially Children of the Storm. Protectors (by Kirsten Beyer) was released by Pocket Books in January 2014.